After a long illness, Docie Eileen Falcone Woodard died on August 18, 2016, surrounded by her family. She was born in Shaoyang, China in 1948. Her twin, Ah-li, preceded her in birth by 20 minutes. Whenever Ah-li claimed to be older, Docie would point out that she, Docie, was bigger since she was 3 inches taller. Her family relocated to Hartford, Connecticut when Docie was a baby, and spent summers in East Randolph, Vermont. She graduated from Weaver High School (Hartford, CT) and Goddard College (Plainfield, VT). She married Charles Woodard in 1968 and settled in Calais, Vermont, where she raised two children. She earned an MSW from Adelphi University in 1981 and became a well-respected therapist and fearless advocate for children and women who were victims of sexual abuse and domestic violence.. 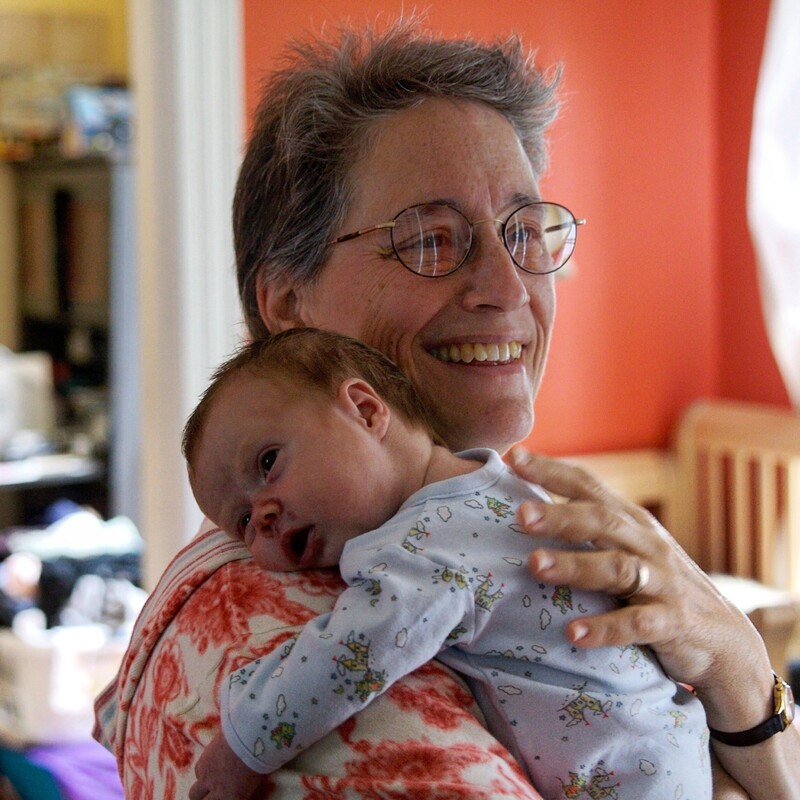 Through her work, she met her future wife, Linda Beal, who swept her off her feet by asking her to write a grant with her. She and Linda relocated to Seattle in 1990 where Docie ran a successful psychotherapy practice for people suffering from post-traumatic stress disorder. They moved back to Burlington in 2006 to be closer to grandchildren. Docie had an artistic eye. She and Linda were award winning gardeners who created beautiful flower and vegetable gardens overlooked by hand-built cottages. She knit amazing sweaters for family and friends, carrying on conversations as she knit the intricate patterns. When her kids were little, she embroidered animals and flowers on their clothes. For grandchildren, she dyed shirts and added prints of plants and animals on the front. Over the years she painted on canvas board and stools and wrote creative nonfiction. She left us with many beautiful creations with which to remember her. Docie is survived by Linda, her wife of 27 years, a son Nat Woodard (Gretchen Verplanck), daughter Sarah Woodard (Liam Flynn), mother Martha Falcone, sisters Ah-li Monahan (Lois Burnett), Naomi Winterfalcon (Madeleine), brother Paul Falcone, and grandchildren Adele, Lila, Mallory, and Asher. She was predeceased by her sister, Hsiao-ti Falcone. We are so grateful to Bayada Nursing for their heartfelt and excellent care in the last months of her life. Donations in lieu of flowers may be made to the Pride Center of Vermont. An open house in Docie's memory will be held October 29, 2016 from 3-5pm at 39 Front Street in Burlington, Vermont.